Did Barack Obama ‘Obstruct Justice’ in Clinton Email Case? On Tuesday, the Washington Post reported Mueller has requested to question President Trump directly about his decision to fire former FBI Director James Comey, as well as the departure of Trump’s former national security advisor, Michael Flynn. It is believed Mueller is looking for evidence that shows Trump’s motive for firing Comey was to end the FBI’s investigation into Flynn and Russian interference in the 2016 election. Although liberal pundits and many congressional Democrats have long argued Trump’s decision to fire Comey was, in effect, a move to cover up other potential crimes, there is an ongoing debate among legal scholars over whether a president, the nation’s chief executive, can be charged with obstructing justice after firing a law enforcement official in the executive branch. If such a scenario is possible, Democrats might want to tread cautiously, because recently revealed information about the FBI’s handling of the Hillary Clinton email investigation suggests President Barack Obama’s administration may have also “obstructed justice” — or, at the very least, had a very strong incentive to do so. With all these pieces in place, it’s easy to see why Obama wouldn’t want Clinton to be prosecuted for illegally using a private email server. This isn’t purely speculative. 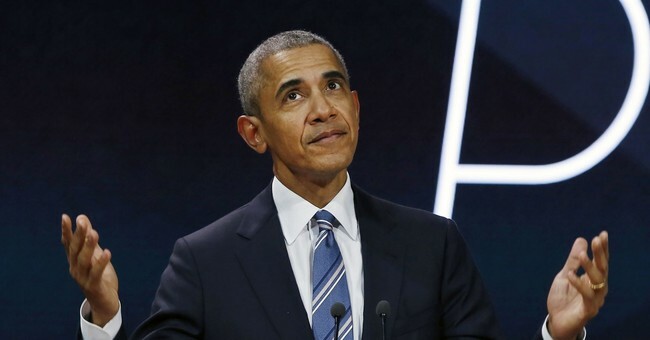 Obama said in an interview with “Fox News Sunday” in April 2016, in the midst of the FBI’s Clinton investigation, he didn’t think the allegations against Clinton were nearly as serious as everyone else did. Of course, just because President Obama wanted Clinton to be cleared doesn’t necessarily mean he acted (and thus “obstructed justice”) to ensure that would happen, but there is much evidence to suggest Comey and his team made up their mind about Clinton long before the investigation was finished. For instance, Comey drafted a statement exonerating Clinton well before he questioned her and more than a dozen other key witnesses. And newly released text messages between Peter Strzok and Lisa Page, former members of Mueller’s investigation team, show they, too, knew Comey wouldn’t recommend charges be brought against Clinton before she was interviewed. Here’s what we know: (1) It appears that from the start, Comey had no intention of prosecuting Hillary Clinton. (2) Comey’s hand-selected team looking into the Trump and Clinton allegations included numerous members who disliked Trump and had ties to the Democratic Party. (3) If Clinton had been found guilty of mishandling classified information (or even simply charged), President Obama might have also faced intense scrutiny, and possibly an investigation of his own, because Obama also emailed Clinton on her private server. (4) It appears President Obama deliberately tried to use executive privilege to conceal the fact that he had communicated with Clinton via her private email server, which could be a crime if classified information had been exchanged. If those emails didn’t contain important information, why did Obama’s team work so hard to keep them from the public? (5) Comey recommended Clinton not be prosecuted for using an illegal email server. If all these statements are true — and that appears to be the case, in my opinion — then the only “obstruction”element missing is an actual request by President Obama’s administration (which, remember, ran the Justice Department) for Comey to keep Clinton out of trouble. On that question, no evidence has yet to be revealed that would prove such a directive ever took place. But isn’t there enough evidence here that a directive could have been issued to warrant an investigation? I don’t know, but there’s certainly as much evidence pointing to a Clinton e-mail cover-up as there is evidence of Trump-Russia collusion. I’m not a lawyer, but I think it would be exceptionally difficult to prove any president is guilty of obstructing justice after “interfering” with an FBI investigation. Presidents are in charge of managing the executive branch, and the Department of Justice and FBI both fall under that umbrella. However, if liberals continue to suggest Trump is guilty of such a crime for firing Comey while he was investigating alleged collusion, then they could end up putting President Obama — who we now know had plenty of good, selfish reasons for ending the Clinton email investigation — in an exceptionally difficult situation. This, ladies and gentlemen, is your government. What a mess.